If you work in tourism or you are an Event Manager, you may be very interested in learning how to plan a perfect luxury car service for your guests. A luxury car service success depends on your skills and on some details you cannot overlook. So, how to plan a luxury chauffeur service? I will explain it in this article. Take note of all the suggestions and remember them next time you will organize an exclusive car service. Art of cooking: where to go eat? Even if it is a corporate car service, or an airport car service, or a private car service to attend sport or cultural events, the first thing you have to consider is to plan the route with your customer. The route choice in a private car service depends on the time available to the client. If he didn’t have too much time, you should decide with him the shortest route to his destination. If the customer has more time, you can suggest him a mini-tour to enjoy the most characteristic places while getting to his destination. If you want to plan a luxury car service, you have to take into account all guest’s requests. To have lunch in an elegant restaurant or to stop in a luxury cafe for a happy hour. Or to visit an art exhibition. Your job as a travel manager is to meet expectations. And this means ensuring accuracy in the service offered and the maximum openness to change the route to get to the destination if it is necessary. An Executive chauffeured car service is not only a limo service or a luxury sedan service. It must be an experience. And it must grant what your client asks for. Does he decide to change the planning you had agreed upon? You have to be flexible and manage the unplanned events. 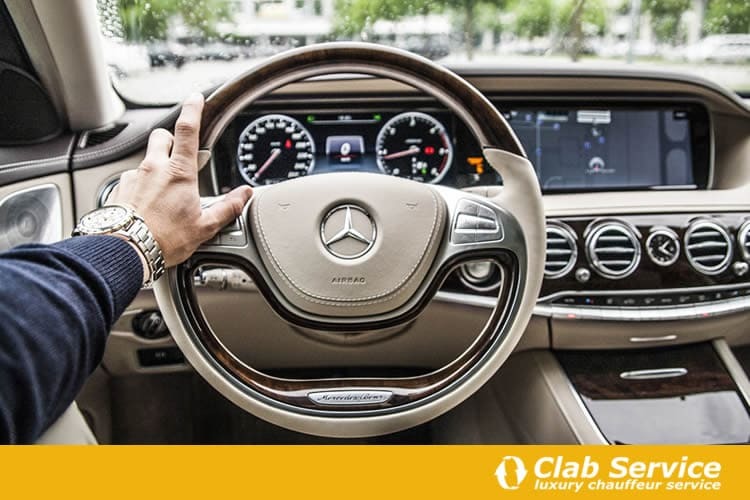 When you plan a luxury car service, you have to careful foresee a series of alternative so as not to get caught unprepared in case of unscheduled stops. Does your client wish to stop a day more and to spend a night in an exclusive bar? Be ready to satisfy his requests with a complete list of nightclubs and a chauffeur at his disposal all night long. Did he meet important people and wishes to have a city tour with them? Offer him a deluxe van for group tours, fully equipped with a welcome kit for his guests. If your customer actually asks you to plan a luxury car service for him, just not to leave anything up to chance. Something you have never to overlook when planning a luxury car service is choosing the best chauffeur. What are the skills an experienced chauffeur should have for an exclusive car service? Speaking foreign languages to talk with the clients and answer their requests. Experienced with local drive area, to be ready to travel along alternative routes. He is well-behaved, but he is not too familiar to the customers. Advising the clients about the places not to be missed or the shopping areas. He is careful, and he respects the privacy of his passengers. When you are organizing a luxury car service, enter in your “To do list” the field “Experienced chauffeur” and be sure the one you have chosen has all the skills I mentioned above. This is the key to your luxury car service success. When people travel for work or are on holiday, to go shopping is something they can’t help but do. Especially if they enjoy an exclusive car service in Milan a private car service in Rome, consider some shopping stops in your travel plan. It is usually the customer asks you this kind of request, but you will be noticed for professionalism if you recommend him some prestigious stores for his desire for shopping. Amaze him proposing a stop in a historic tailor shop in the city or bring him to the ateliers of well-known fashion brands. And if he is a wine lover, suggest him to visit a prestigious winery or a traditional one. Do not stop your imagination: even goldsmith’s shops or skilled watchmakers will make your customer happy. Be proactive and original: you will impress him for sure. Another stuff to consider while you are organizing an exclusive car service is the Art of Cooking. That is where your clients may get something unique and typical to eat. Fill a report with all the best restaurants in the area and the most fashionable ones and note what they offer in terms of dishes, type of cuisine, star chefs. Be capable to suggest your clients what they expect. Find out what their tastes are, what they prefer eating and if they have some culinary habits. It would be terrible actually to suggest a restaurant remarkable for meat dishes if they are vegetarian. If your client is curious indeed, and he wishes to try new tastes, you may opt for ethnic restaurants. You don’t have to offer a simple private car service, you have to make your customer’s stay unforgettable. To plan a luxury car service means to offer a professional, infallible service to people who ask for. You’re way off if you think offering a clean vehicle and a driver is enough. What is essential is to fulfill every desire your client may have. The ones he tells you and the implicit ones you have to find out. How to find out your customer’s desires? You can ask him what he needs and you can try to understand some aspects of his personality. You can ask him for instance what he loves to do in his free time and what his hobbies are. Find out if he has already visited the town and what he visited or not. Set your sights on his passions and arrange a schedule with all the possible must-sees, complete with cultural stops, culinary experiences, and tours in the most suggestive places. In this way, you will turn a private car service in an unforgettable experience. When the available time is enough. I want to give you the last tip before to let you organize your luxury car service. To set you apart from your competition, you have to take care of details. Littlest stuff will make your service special. Just an example? A perfectly equipped vehicle to offer a comfortable and exclusive car service. If you need more advice, write us in the comments below. If you need a luxury chauffeur service and you want to entrust the service to us, please contact us, and we’ll find together the best solution for you.